There is no way to overstate it: WWE All Stars is simply the greatest collection of WWE talent ever assembled. Create matchups that before you could only imagine with a roster that features two generations of WWE favorites as WWE Superstars join forces with WWE Legends. 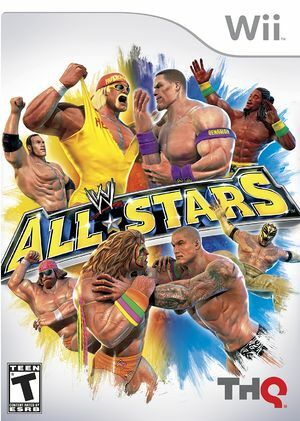 The expansive lineup features the WWE's greatest names, including John Cena, Triple H, The Rock, Andre the Giant, Ricky "The Dragon" Steamboat, and even the "Macho Man" himself, Randy Savage. Each wrestler flashes their unique fighting style and over-the-top WWE personality in action-packed, quick-grapplin', body-slammin' matches where it's up to you to determine who is the best of the best. WWE All Stars is capable of using both GameCube controllers and Wii Remotes. If a physical controller is set to emulate both a GameCube Controller and a Wii Remote concurrently, it will operate both devices at the same time. To fix, migrate controls to use separate physical controllers. The graph below charts the compatibility with WWE All Stars since Dolphin's 2.0 release, listing revisions only where a compatibility change occurred.